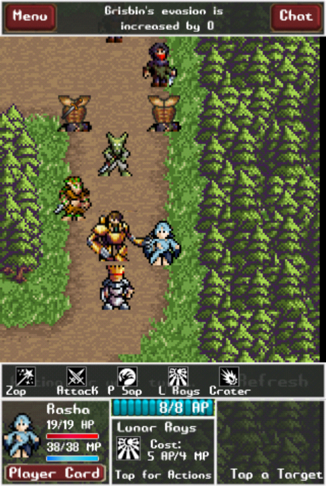 Quest with friends in F5 Games' promising iPhone RPG. The App Store has no shortage of role-playing games, the majority of which are strictly single-player affairs. While there's certainly a place for lone adventuring, F5 Games hopes to introduce a social aspect to dungeon crawling with its upcoming iPhone title, Pocket Heroes, an RPG where success comes from working as a team. Due to release this summer, the app lets you and up to three friends form a party and explore a fantasy world filled with monsters. There's online play, but it comes in the form of push notifications, similar to Zynga's Words With Friends. In other words, you'll take a turn, be it wandering a few steps ahead, gathering loot and/or engaging enemies, and then your fellow travelers follow suit. This is made possible with the use of Action Points that give you a certain number of moves. Once those run out, you must wait for another turn. There will be four classes available at launch, each of which have eight to nine unique skills. They include the Lunar Priestess, the Paladin, Rogue and Mechie, that last one being a steam punk inspired character inside a robotic suit. Naturally, they possess signature attacks and abilities, and you're able to level them up over time using skill points. This will also boost various attributes. Among them, Attack, Accuracy, Magic Power, Resistance and Evasion. From what we've heard, F5 intends to make Pocket Heroes episodic. That said, the first episode will contain 10 quests and four environments; locations include a forest and cave. 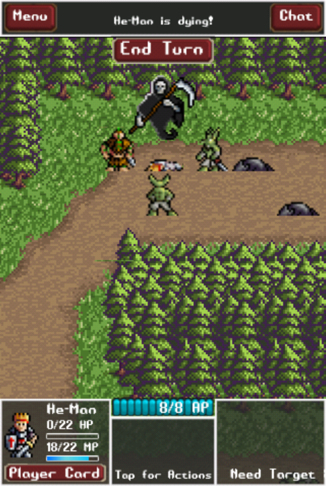 In addition, you'll square off against 20 enemies, such as goblins, wolves, skeletons, vermin and spiders. This also means three mid bosses and one all-powerful final boss. Communication is key, and the developers plan to add text-based chat to the experience to help players strategize. As with most RPGs, the game comes with a plethora of items to acquire, like magic rings, health potions, amulets and a bunch of weapons, from a Bone Warhammer to an axe. 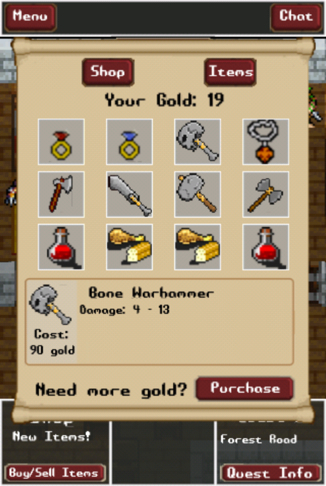 You can buy these things at the shop using gold, picked up naturally on your quest and/or bought via in-app purchase. Our primary concern in all this was the general speed of the game. It's one thing to spell something in Words With Friends and then leave the game alone for several hours and even days before the opponent responds. An RPG, on the other hand, requires more attention. Thankfully, F5 agrees, and will award players bonuses for speeding things up. What those are remains to be seen. On that note, we look forward to putting Pocket Heroes through its paces when it arrives within the next few weeks/months. F5 Games deserves credit for adding a different spin on RPGs in general, and its plan to release new chapters free of charge and classes through IAP has us intrigued, to say the least. Now all we need is full-screen iPad support (coming in a future update) and we'll be good to go.